At last week’s UFC 227 main event TJ Dillashaw successfully defended his title after defeating formal rival Cody Garbrandt via first-round knockout. That was a rematch to their first encounter where Dillashaw took the title from ‘No Love’ after knocking out him out in the second round. Dillashaw has several possibilities as far as who he can face. 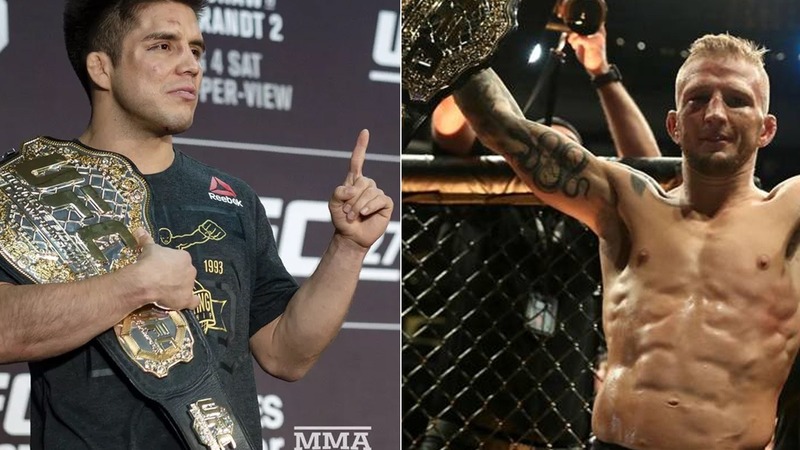 Former champion Dominick Cruz last man who took the title from him, Raphael Assuncao and Marlon Moraes. Then another option, Henry Cejudo who made the history at UFC 227’s co-main event after defeating the most dominant champion Demetrious Johnson via split decision to score the flyweight title. After the historic win Cejudo calls for bantamweight bout with Dillashaw. Dillashaw said he doesn’t feel that former Olympic medalist Cejudo doesn’t deserve a crack at his belt, although he didn’t necessarily deny the possibility of fighting him even 125-pound. Cejudo who wants to move up to bantamweight while Dillashaw intends to cut down to flyweight. Even UFC president Dana White isn’t ruling out this possibility. But one question that is unclear, despite Demetrious Johnson’s impressive record why he’s not getting an immediate rematch with Cejudo as ‘Mighty Mouse’ is the most deserving of above all. During his fight, he suffered some nagging injuries that sidelined him for an unknown time, so that speculate the super fight between Dillashaw and Cejudo. UFC business is all about making money, so it all depends on promotion as whoever they feel can bring more money will get a chance against Dillashaw, until then Henry vs. TJ is remain to be seen. Do you think TJ Dillashaw and Henry Cejudo super fight should happen?